This classic teaching by a Tibetan master continues to inspire both beginners and long-time practitioners of Buddhist meditation. 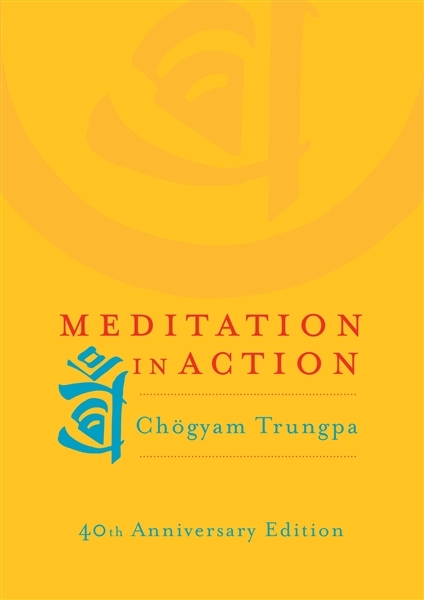 Chögyam Trungpa Rinpoche shows that meditation extends beyond the formal practice of sitting to build the foundation for compassion, awareness, and creativity in all aspects of life. 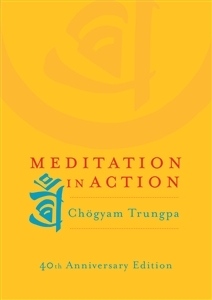 He explores the six activities associated with meditation in action—generosity, discipline, patience, energy, clarity, and wisdom—revealing that through simple, direct experience, one can attain real wisdom: the ability to see clearly into situations and deal with them skillfully, without the self-consciousness connected with ego.